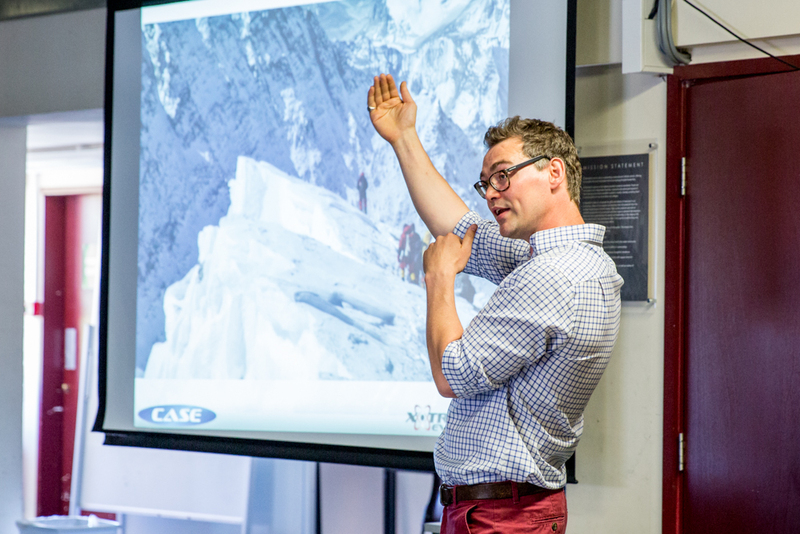 X-ray vision: Superpowers in modern medicine, The Plight of the Bumblebee, Xtreme Everest 2: medicine meets mountains, and Recycling – this year’s Science Forum talks – gave St Benedict's scientists much to think about! 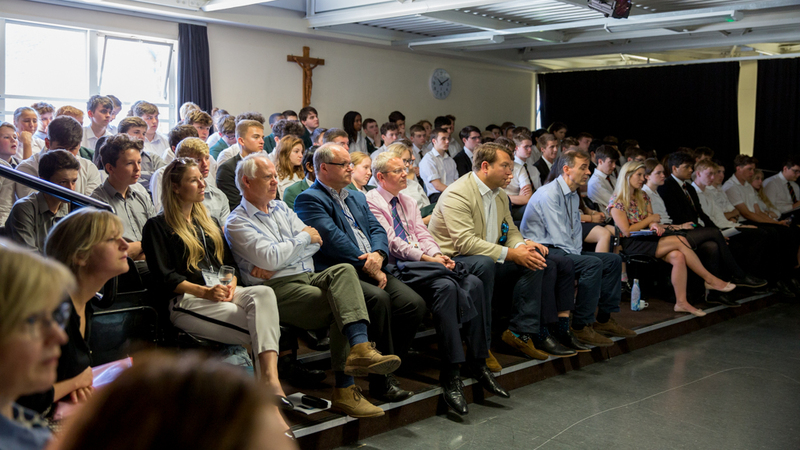 On Friday 29th June keen science students listened to four interesting and enthusiastic speakers at our annual Science Forum. Having attended last year’s Science Forum I had high hopes for this year’s speakers and they did not disappoint. The day began with a talk from Mr Lawrence King on the use and application of X-rays in medicine. He went into the discovery of the X-ray and its use as an imaging tool to assess any damage done to the body, as well as comparing the use of X-ray scanners to CT scanners. It was surprising to learn of the physics behind such a vital medical tool and to see how technology is advancing this field of research. Following Mr King was an exploration of the reasons behind the decline in bumblebee populations in Britain, from Mr Barnaby Smith of the Bumblebee Conservation Trust. He explained some of the factors affecting the population of bumblebees, including a decrease in the number of wildflower fields in Britain and an increase in the use of pesticides. The importance of this was emphasised when Mr Smith explained the economic and ecological significance of the bumblebee as pollinators. Without them it would be much harder for plants to be pollinated, reducing our harvests of some crops and the populations of most species of flowers. 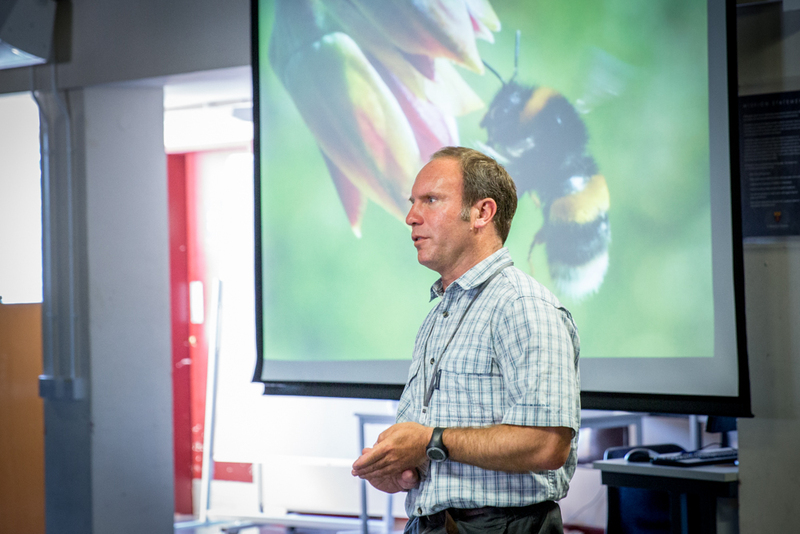 The message of his talk was clear – bumblebee populations must be preserved. After a short break there was a talk given by Mr Neil Crabb, CEO of Frontier IP, a company that works with universities and academics to turn their best ideas into products and services benefiting the world outside the laboratory. 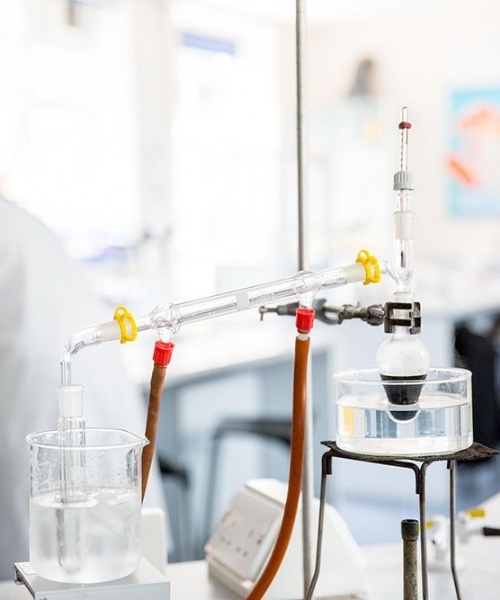 He detailed his work in recycling waste industrial materials and resources into ‘greener’ substitutes for other products such as tiles and table tops. Mr Crabb explained how imperfect tiles and other clay products are thrown away by companies and how they can be used, in conjunction with glass recycled from television screens, to create new tiles that are almost indistinguishable from rock mined from quarries. Finally Dr Edward Gilbert-Kawai, Specialist Registrar in Anaesthesia and Intensive Care Medicine, talked us through some of the research he conducted regarding the circulation of oxygen in the body to benefit patients in intensive care units, research that took him all the way up to Mount Everest. He investigated how Sherpas could carry immense weights and move so quickly up the mountain despite the lack of oxygen due to the altitude. He discovered that the Sherpas can get more oxygen to their muscles as a result of their faster circulation of fewer red blood cells (too many red blood cells would slow down the circulation). It was amazing to see how the biology of people on the other side of the world could be used to help patients in our hospitals sometime in the near future. I would like to say a huge thank you to the Science Department for providing us with the opportunity to broaden our scientific horizons and see for ourselves the application of what we learn in school in industry and society.